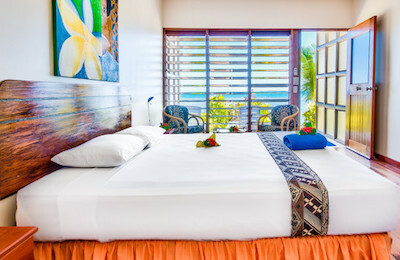 Ultimate Paradise Beachfront Surf Resort - Tavenui, Nadi Guests overall rating: ★★★★☆ 4 based on 1 reviews. 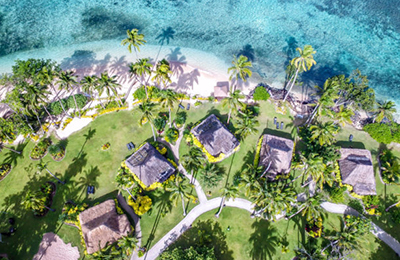 Ultimate Paradise Beachfront Surf Resort is located in the Fiji Islands right in front of a private beach on a intimate island without any roads. Closest stores are located on the neighbour Island Taveuni. The Fiji Islands are located in the South Pacific and the flight to these paradise Islands is a visual adventure flying over blue waters, coral reefs and deserted islands. In order to reach the Resort, you need to fly 80 minutes to Taveuni from Nadi with Fiji Airways or Island Hoppers. Once arriving in Taveuni, one of the Resort’s representatives will be waiting for you and your company. There is a 20 minutes drive from the Airport to a boat that will bring you to the Resort in only 10 minutes. Once arriving to the Island you will be greeted by the friendly staff in the most beautiful and unique environment! The Resort’s team can also assist you with booking your domestic flights from Nadi Airport to Taveuni Airport. 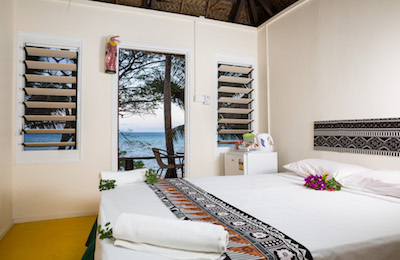 Both packages include: Daily continental breakfast, airport return transfers to/from Taveuni Airport, Fiji Cooking Demonstration, Nightly Entertainment, Sunday Village Church Visit, Personalised Water Bottle, Non-motorised activities (snorkelling, paddleboards and kayaks). Price is inclusive of all taxes and is based on twin share. The nightly rates are inclusive of Continental Breakfast Only. If you care to upgrade your stay to All Meals Inclusive the price is 130 USD extra per person per night. You will need to choose this when making your booking. Beginners – Learn the basics in a calm lagoon. Lagoon Session – USD $90 per hour. Ocean Transition – USD $250 per lesson or $650 for 3 lessons. Board Hire – USD $50 per session. 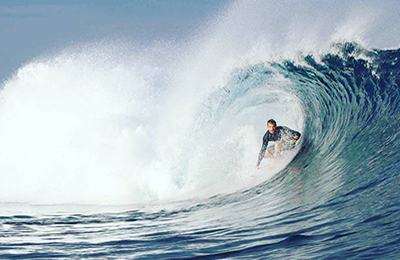 Competent surfers – All competent surfers wishing to surf from the Resort can do so with a special Ticket. Number of surfer spots are limited so booking in advance is recommended. The Ticket – USD $66. Note that Dive instruction, Discover Scuba Diving, and Dive Courses are available by special request only, and not always available. Contact for inquiries. Please note that prices do not include 25 % Fijian Taxes unless they say so. "I recently returned home from an amazing weekend at the Resort in the Maldives with my wife. We have so many good things to say about it! The staff was incredible and from the moment we stepped off the plane there was a friendly face ready to help us with anything! The food was also amazing, fresh and delicious. There is a band that plays every night at dinner and we grew to look forward to this very much. We also loved the pool and the hot tub for relaxation. The cleaning happened twice every day. We are beyond happy with our stay!"